MasterCard is testing a contactless payment card with a built-in fingerprint reader that can authorize high-value payments without requiring the user to enter a PIN. It showed a prototype of the card in London on Friday along with Zwipe, the Norwegian company that developed the fingerprint recognition technology. The contactless payment card has an integrated fingerprint sensor and a secure data store for the cardholder's biometric data, which is held only on the card and not in an external database, the companies said. The card also has an EMV chip, used in European payment cards instead of a magnetic stripe to increase payment security, and a MasterCard application to allow contactless payments. The prototype shown Friday is thicker than regular payment cards to accommodate a battery. Zwipe said it plans to eliminate the battery by harvesting energy from contactless payment terminals, and is working on a new model for release in 2015 that will be as thin as standard cards. 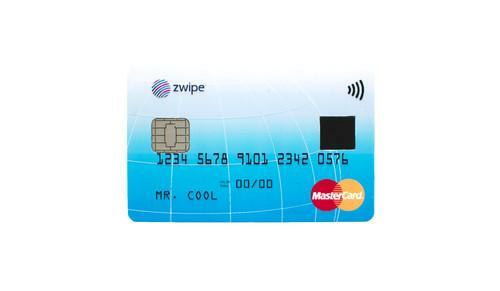 Thanks to its fingerprint authentication, the Zwipe card has no limit on contactless payments, said a company spokesman. Other contactless cards can only be used for payments of around €20 or €25, and some must be placed in a reader and a PIN entered once the transaction reaches a certain threshold. Norwegian bank Sparebanken DIN has already tested the Zwipe card, and plans to offer biometric authentication and contactless communication for all its cards, the bank has said. MasterCard wants cardholders to be able to identify themselves without having to use passwords or PINs. Biometric authentication can help with that, but achieving simplicity of use in a secure way is a challenge, it said. There's another company planning to bring fingerprint authentication to MasterCard contactless payments rather sooner than Zwipe, though. Apple Pay goes live on Monday in the U.S., allowing owners of a new iPhone 6 or 6 plus, or the older iPhone 5S, to link MasterCards issued by most U.S. banks to their phone and make contactless payments.